Mandas Disney Blog: Disney Speciality Cruises! Welcome to another post in my Disney Summer Fun Series! This week's Guest Blogger is the amazing Donna from :DISTherapy! Her blog is just brilliant! Donna is such a kind-hearted Disney Pal :) She's always so happy and bubbly ... it shows in her writing! Her blog really is a joy to read and she always has wonderful photos too! I've been especially excited about her recent posts about my favourite Disney Park ... Disneyland Paris! Donna was lucky enough to visit Dlp recently and keeps making my day by posting some amazing photos! Including wonderful shots of The Tarzan Encounter (which I've still to see! ), a stunning photo of La Chateau de la Belle au Bois Dormant, and this simply breath-taking snap of Main Street Station taken from the Disneyland Hotel - you can see the castle peeking over the top! How cool is that!? We love Disney Parks in the summer! While certain things, like standing in long lines and watching the daytime parades in the warmth may be challenging, the weather allows for those special outdoor activities that just aren't the same the rest of the year. At Walt Disney World, our favorite summertime heat and crowd buster is to take a Specialty Cruise along the Seven Seas Lagoon and Bay Lake at the Magic Kingdom, or Crescent Lake at Epcot. There is no better way to end a long day in the sun than leaving the Parks, having a relaxing dinner at one of the Resorts listed below, and then walking down to the dock to board your own private boat to watch the fireworks shimmer and bounce off the cool water. How's that for summer magic? We love Wishes Nighttime Spectacular AND IllumiNations: Reflections of Earth, so we just had to do Fireworks Cruises for both; each provides a different experience. You can choose from a 21 foot (seats 8 at a cost of $284) or 25 foot (seats 10 and costs $346) pontoon boat for either excursion. The pricing includes a driver (thank goodness- otherwise my husband would have been behind the wheel), simple snacks like chips, water and Coke soft drinks. Unlike years ago, all boats offer a soundtrack to the show. Cruises depart 30 minutes prior to the scheduled fireworks entertainment, and are now one hour in length. Bookings can be made 180 days in advance by calling (407) WDW-PLAY. If a cruise needs to be cancelled due to inclement weather, you would receive a refund. The Wishes cruise leaves from the marina of either the Grand Floridian, Polynesian, Contemporary, Wilderness Lodge or Fort Wilderness Resorts. As a bonus, you can usually experience the nightly Electrical Water Pageant while out on the water and tour the Lagoon. An advantage of this cruise is that the body of water is so large that the boats can spread out. You feel as though you are watching your own, unobstructed, private fireworks show! A contrasting point is that you can get a similar vantage point from any of those Resorts' beaches, and that's FREE. IllumiNations cruises depart from the Yacht and Beach Club Marina, and park under the International Gateway Bridge. 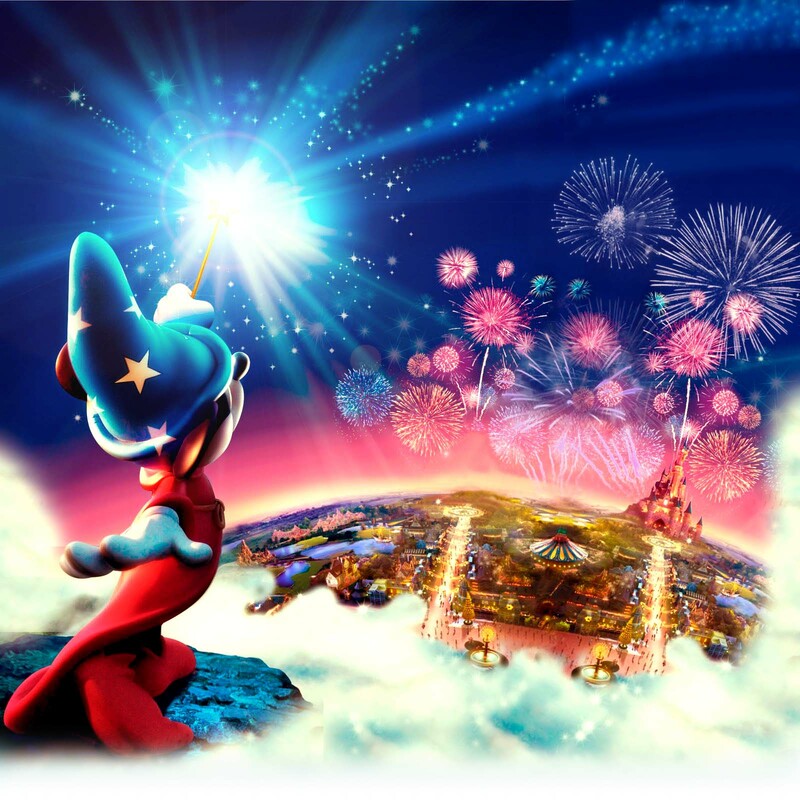 It is a wonderful vantage point for the fountains, laser ball and fireworks, and gives you a completely different perspective from what you see on land. A disadvantage is that you cannot get a full view of all of the Pavilions due to trees and the Bridge, and occasionally there's a hint of smoke in the air. There are two additional cruises offered by Disney: the VIP Grand I Yacht docked at the Grand Floridian, and the Pirates and Pals Fireworks Voyage. They are very different experiences, and deserve their own post! • There's no better place to celebrate a birthday or a special occasion. 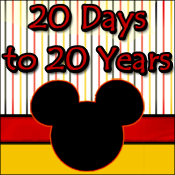 For $25, Disney will decorate your pontoon with balloons and a personalized banner. 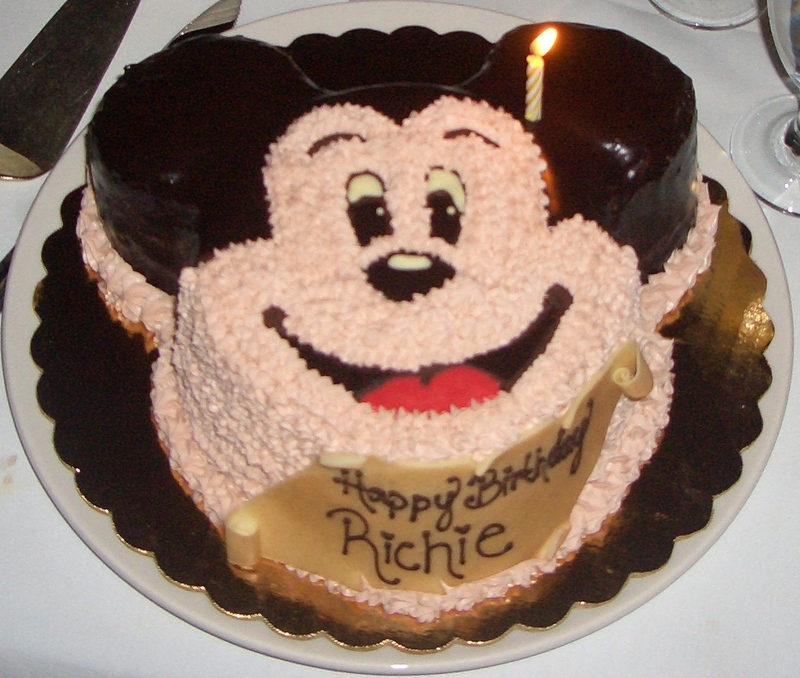 • Disney Private Dining can provide an occasion cake to really make your excursion feel like a true party. Call Private Dining (at the resort you will be leaving from) in advance, and you wil have a large variety of cakes, beverages and other goodies to choose from. · A final PT Tip for the other special person in your party. The Parks can be crowded and overwhelming at any time of the year, but excessive heat takes its toll on the elderly and disabled. Children with sensory issues can find the intensity and noise of the fireworks unbearable. The serenity of a pontoon ride can be a godsend for special needs families. Everyone can enjoy the show together, the couches allow for elevating a wounded leg or swollen ankle; the soundtrack can be modulated as needed. Though not inexpensive, a Fireworks Cruise can be worth every penny. As final plus to your unforgetable summer day, while your boat silently pulls back into the resort slip you can appreciate not having to fight the throngs of guests lining up at the monorail, working their way back to the parking lot. You can take your memories and your champagne bottle back to your room. I'd like to thank the AMAZING Manda for inviting me to post on the blog that everyone loves for its genuine style and lighthearted attitude. I have to also thank the other Disney Summer Fun series bloggers for their tips, recipes and pointers. We've learned so much! Once again Thank You SO much Donna from :DISTherapy for being my Guest! Please be sure to check out her blog! That was amazing, I knew about the cruises but have never done one. It looked amazing and will definitely want to do one now. It is good to know that Disney has things for all its guests. I enjoyed this post immensely guys. thanks to you Manda and Donna.. Thank you Diane! For us, this one was well worth the cost (especially when my spectrum kid was little). Go for it!! Great post! Terrific coverage! I love the cruises! They are fun for the kids (my spectrum kid too) and very romantic for DH & I. Thanks Donna and Amanda for another summer fun post!! Yet another Disney "something for everyone"! What a wealth of info here. So glad you wrote this Donna. I've never been on a Specialty Cruise, but it sure sounds like a terrific way to end a busy day. How very nice! Hi dizzneemomma, On a hot day it sure beats standing in the Hub with the masses! !